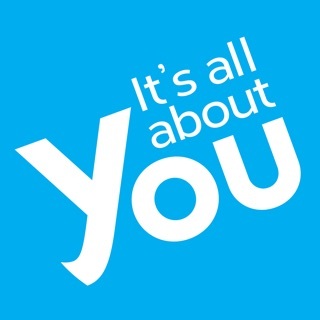 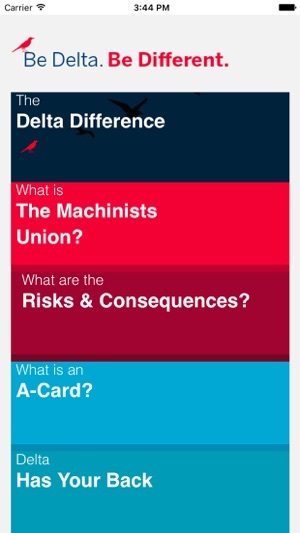 Be Delta Be Different is a Delta-sponsored website and app that provides Delta employees information about the risks and consequences of union representation, the Machinists union’s attempts to represent them, and why their independence is worth fighting for. 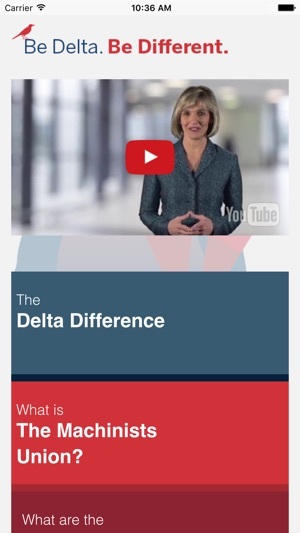 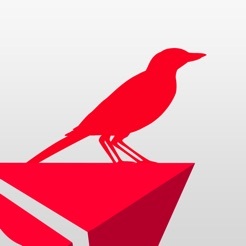 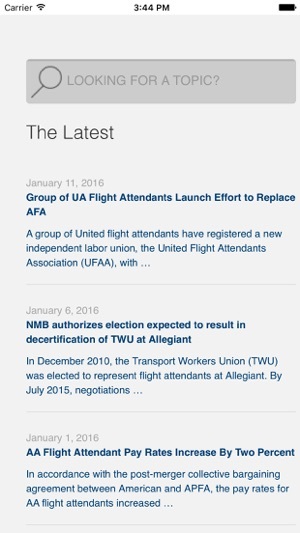 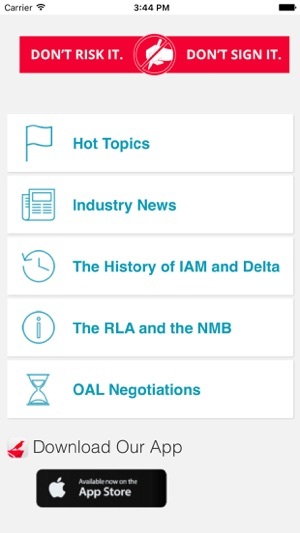 Delta’s website and this app ensure our employees on the go can view the latest information on all mobile devices and receive notification when new content is posted – keeping them on top of these important issues. 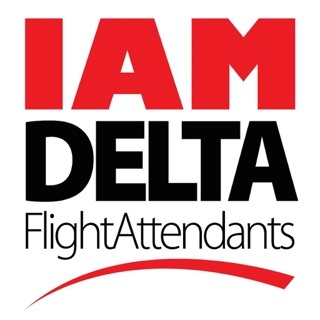 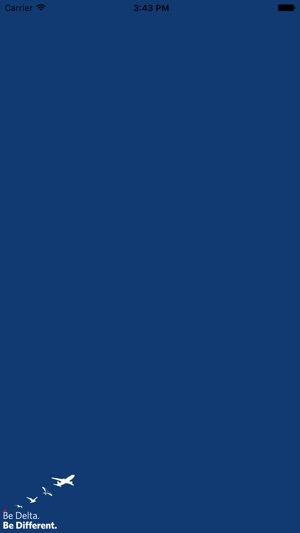 © 2015 Delta Air Lines, Inc.